The base of Biohistory Journal is Talk. We examine research into the subjects that appear in Talk, as well as note the keywords and link to related sites. We want to employ this process of thinking together with our readers. 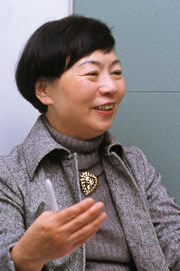 Our first exploration on the subject of Human Beings was a conversation that lasted about four hours in the lab of Jun'ichi Tsujii, who is involved with computerized language processing. The conversation covered such topics as life, information, human beings, the genome, language, and science. The word "comprehensive" has been frequently used in biological research since the analysis of the genome began. There are an infinite number of creatures in the natural world, so it's not possible to deny their existence even though we couldnt find them when we looked. If the entire human genome is mapped, however, we can say that certain genes do not exist. That is the wonder of comprehensiveness. a large volume of information will be created. The human brain cannot organize this information; a computer is necessary. Language requires the same kind of processing. But the computer cannot elucidate all of language. Perhaps this will mean we narrate what the human brain perceives by intuition. As Prof. Tsujii has said, this brings up many subjects to think about. To understand this complicated subject in particular may require a way of thinking and methodology that has not existed in science to date. This is an important viewpoint for the Biohistory Journal. A new interest has arisen for language. I'd like to discuss this with others occasionally in the future. It requires considerable preparation to have a dialogue about language and life, the two great mysteries of contemporary science. I was not sure that I could conduct a worthwhile discussion on these two important topics with Ms. Nakamura, whose specialty and research background differs from mine, but my concerns were groundless. Since the days of ancient Greece, the form of the dialogue has elicited intangible thoughts beneath the level of consciousness in an overt form. It has been an effective form for verbalization and developing logic. With the addition of skillful direction, ideas that have been formless take shape. I enjoyed this discussion, as it was a bit different from my daily research activities. It touched on the form of science for which linguistics and biology is striving, the genome as the origin of life in the material world, and language as the origin of knowledge in the world of information. Though language and life follow a strict regularity, they are also systems that exhibit great diversity and adaptability. The dialogue ended on the question of whether there was a scientific framework for these systems, or whether there was a basic shared framework for these two systems. It left me with a lot of ideas I'd like to think more about. Several years from now, I'd like to discuss the results of each of our speculations. Born on February 7, 1949, Prof. Tsujii was awarded a Ph.D. from Kyoto University in 1978. He served as an associate professor in the Faculty of Engineering of Kyoto University from 1979 to 1988. In 1981 and 1982, he was a visiting researcher of CNRS at the University of Grenoble, France. From 1988 to 1995, he was Professor of the Center of Computational Linguistics, the University of Manchester Institute of Science and Technology, England. 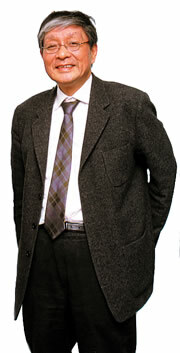 He served as the Director of Centre for Computational Linguistics at the same university from 1992 to 1995. He has been in his present position since 1996.